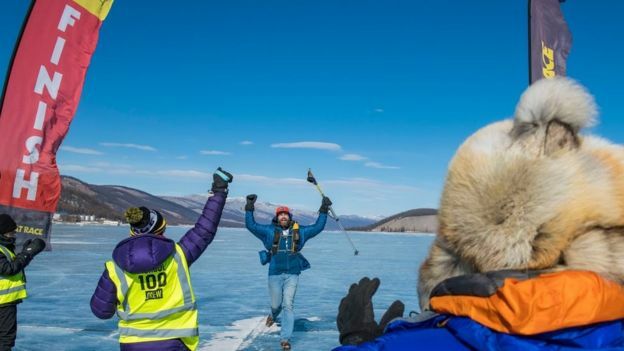 A father-of-three from Jersey has completed a 100-mile ultramarathon across a frozen Mongolian lake wearing office shoes and jeans. Peter Messervy-Gross packed his bags for Mongolia with specialist equipment to help him trek for four days in temperatures as low as -25C. But when his flight landed, he found out the airline had lost his bags. Rather than turn back, Mr Messervy-Gross decided to run in the perilous conditions wearing his brogues. It was a “somewhat intimidating” prospect, the 47-year-old told Radio 5 Live’s Emma Barnett. But fellow racers at the event earlier this month rallied around him. “The generosity of the people on the trip was just phenomenal,” he said. 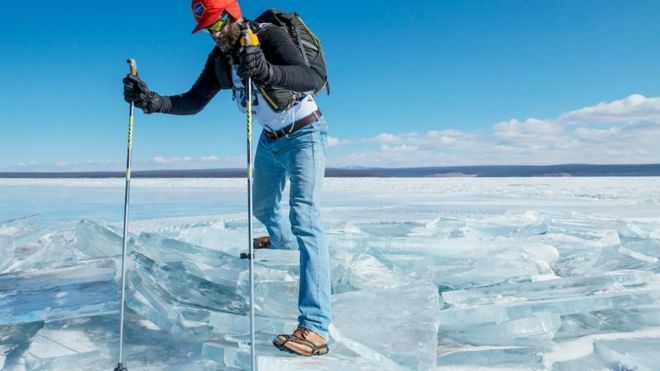 In training, he thought about the ultramarathon across the frozen Khövsgöl Nuur lake as a competitive event. But, he said: “Starting the trip in a pair of dress shoes was suboptimal, to say the least, so I just had to change my mindset”. He decided to walk as well as run, putting “one foot after the other, like everyone else really”. Asked if it was painful, he said: “Yeah. You do 25 miles a day for four days and over that time your feet tend to swell up a bit. “I literally became too big for my boots, as the saying goes, which caused a bit of rubbing and some blisters. Mr Messervy-Gross said he had kept the shoes after finishing the race, adding that they were still in a wearable condition.